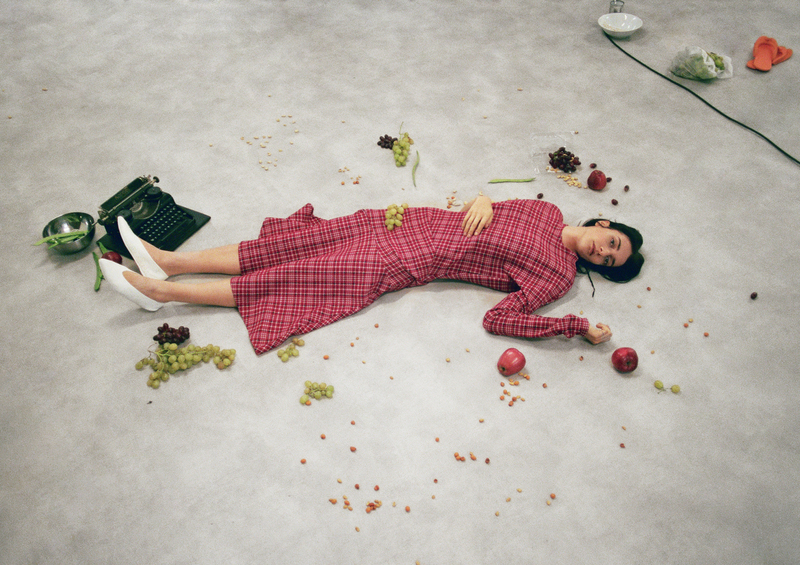 Photography by Marta Marinotti, Fashion by Fabio Princigallo, make up by Giada Montalto, hair by Davide Rossi, ﬂoors by Giulia Premarini and modeling by Nina Granic @nologo. dress by Calvin Klein 205W39NYC and shoes by Lucio Vanotti x Marsell archive. Sweater by Comme des Garçons, shirt by Lemaire and boots stylist’s own. Dress, sleeves and socks by Rebecca Zauli, scarf by Paco Rabanne and shoes stylist’s own. Tank top by Jil Sander, skirt by Rebecca Zauli, shoes stylist’s own and bag by Naomi Oike. jacket and dress by Molly Goddard, shoes: stylist’s own. Vest by Aalto, t.shirt by A.W.A.K.E, skirt by 3.1 Philipp Lim and shoes stylist’s own. 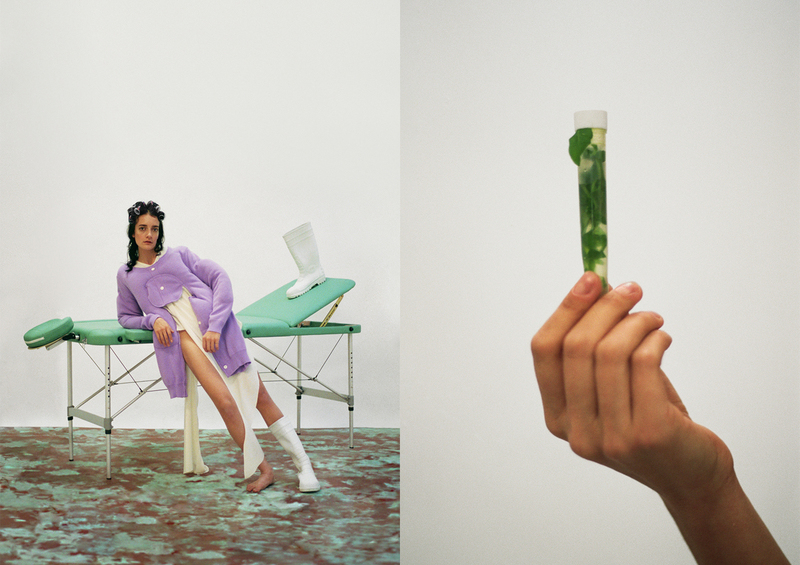 Photography by Marta Marinotti, styling by Fabio Princigallo, make up by Giada Montalto, hair by Davide Rossi, ﬂoors by Giulia Premarini and modeling by Nina Granic @nologo.